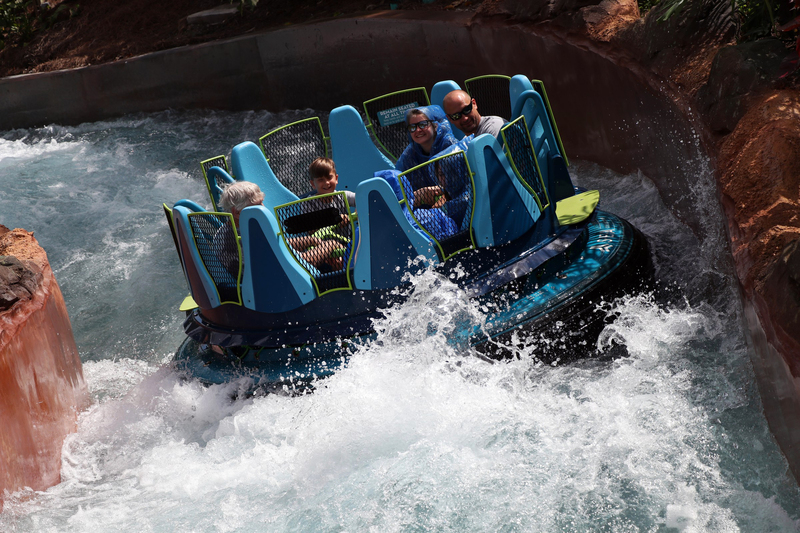 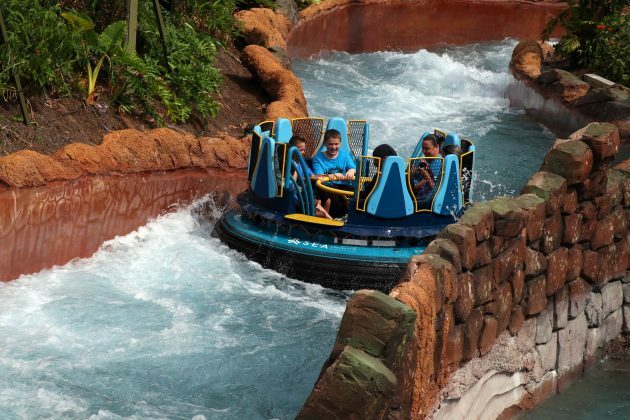 Infinity Falls, SeaWorld’s new rapid ride, has finally opened; featuring roaring rapids, soaking fountains and a record-setting 40-foot waterfall drop. 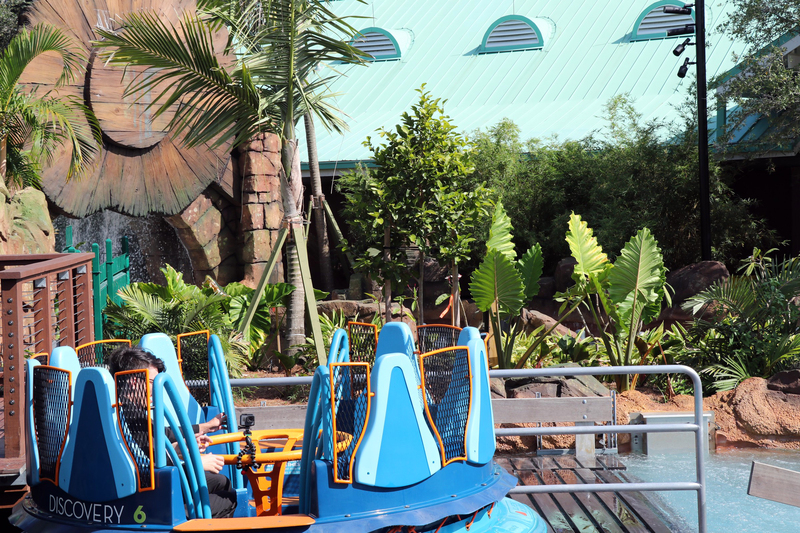 The ride is set against the backdrop of a rainforest utopia. 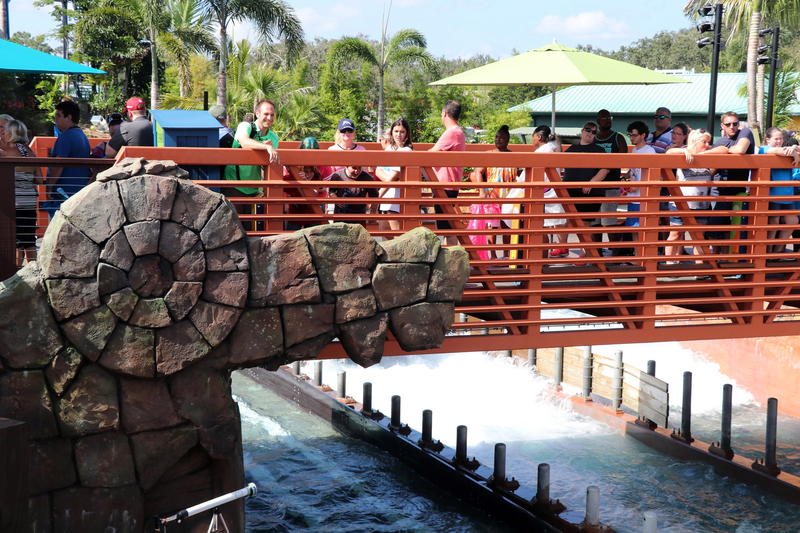 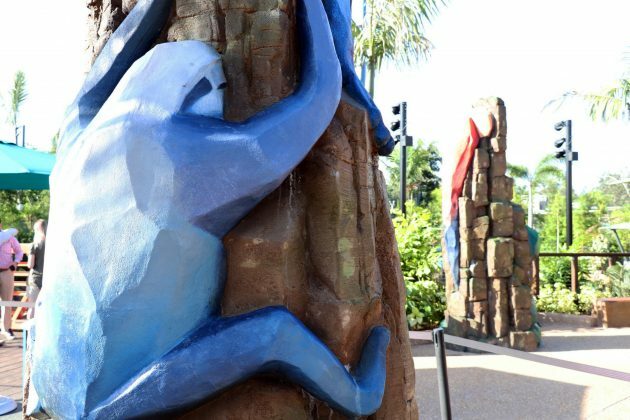 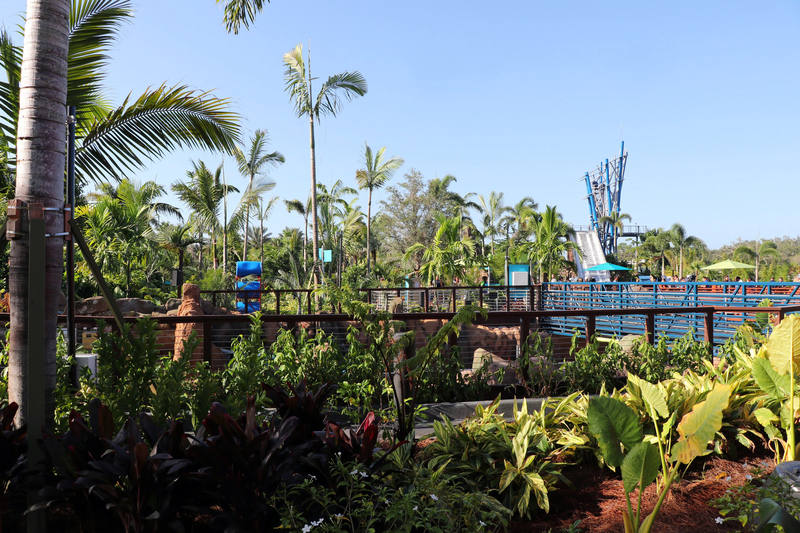 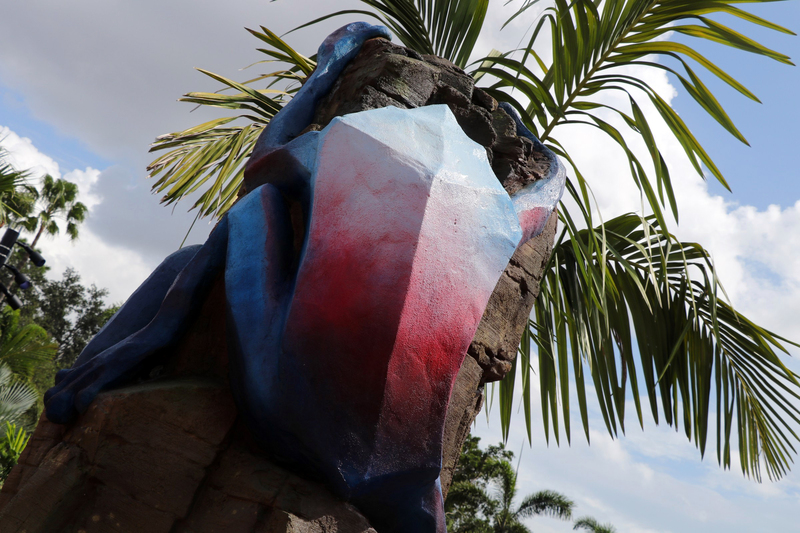 Throughout the queue, guests journey through the rainforest and learn about the importance of freshwater conservation through interactive games and stories throughout the ride experience. 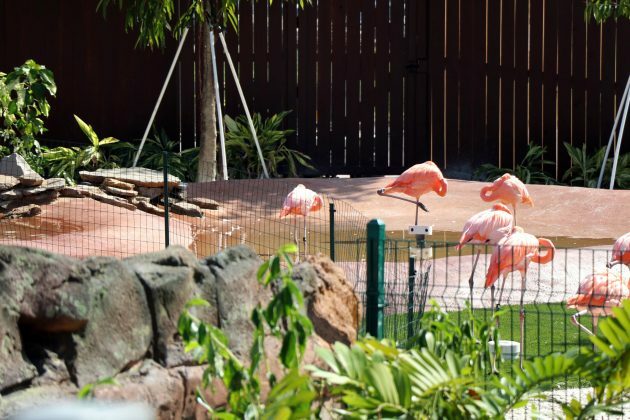 Once boarded, guests float by a flamingo exhibit before quickly entering the rapids. 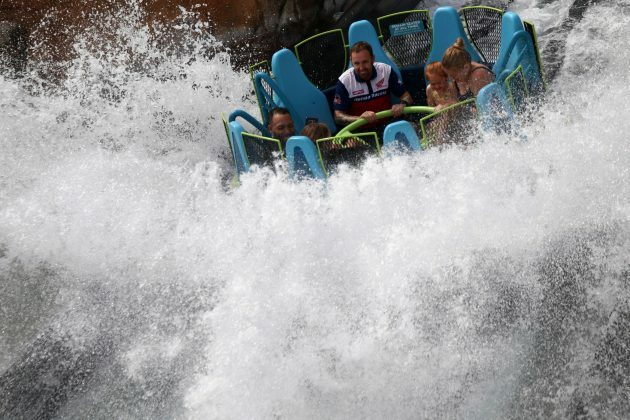 For occupying a small footprint, the ride packs quite a fun punch. 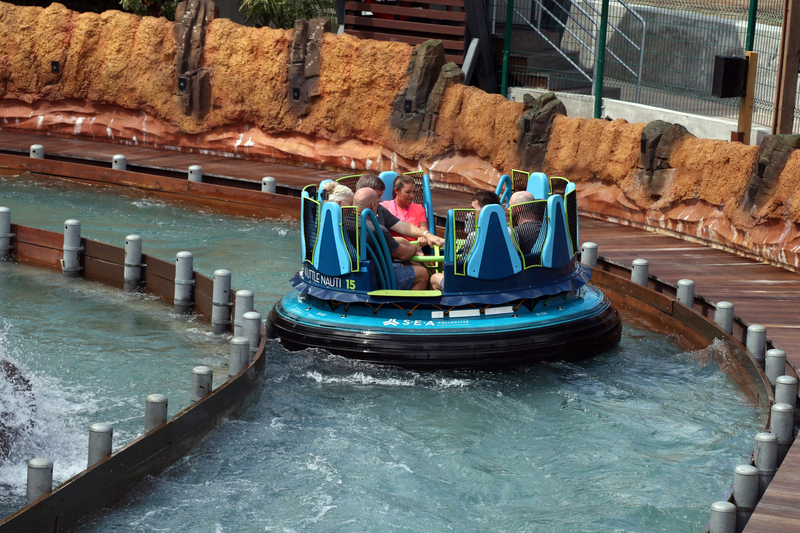 Depending on how many guests occupy the 8-seat raft determines how wet you’re going to get. 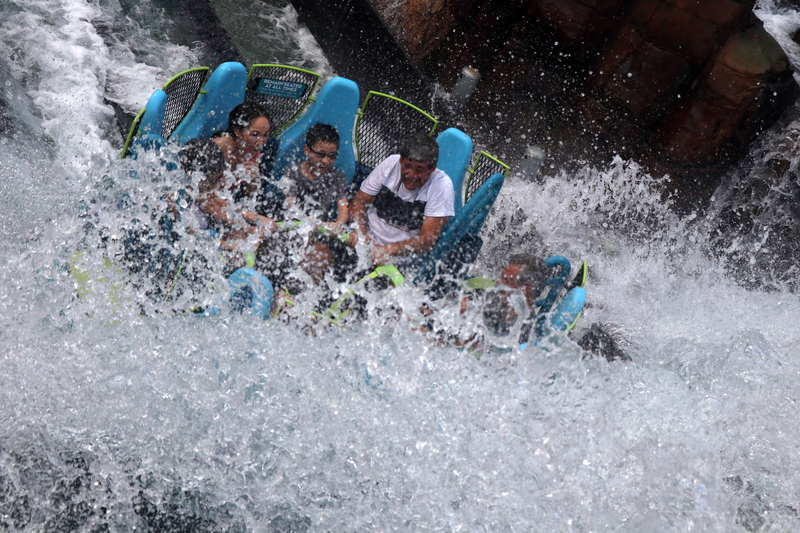 During our first few runs, with only 2 seats taken, we escaped relatively dry. During our last ride, with 4 on-board, we were soaked. 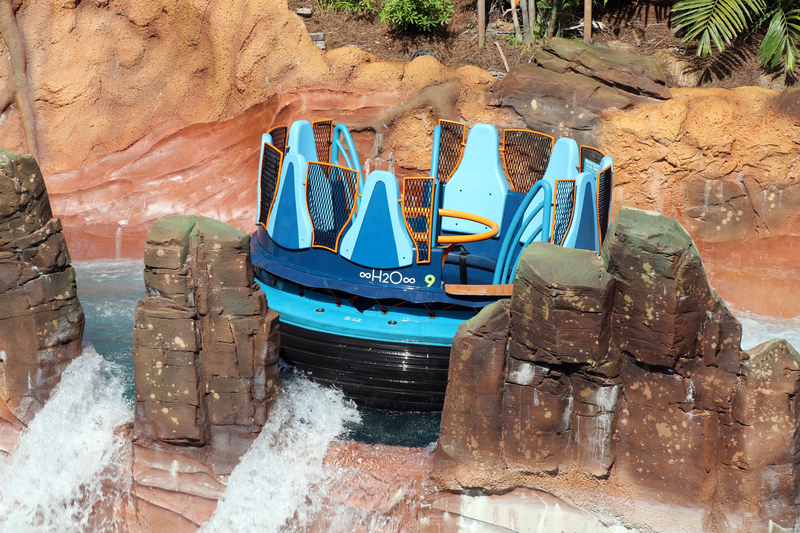 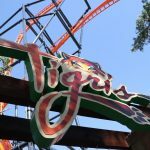 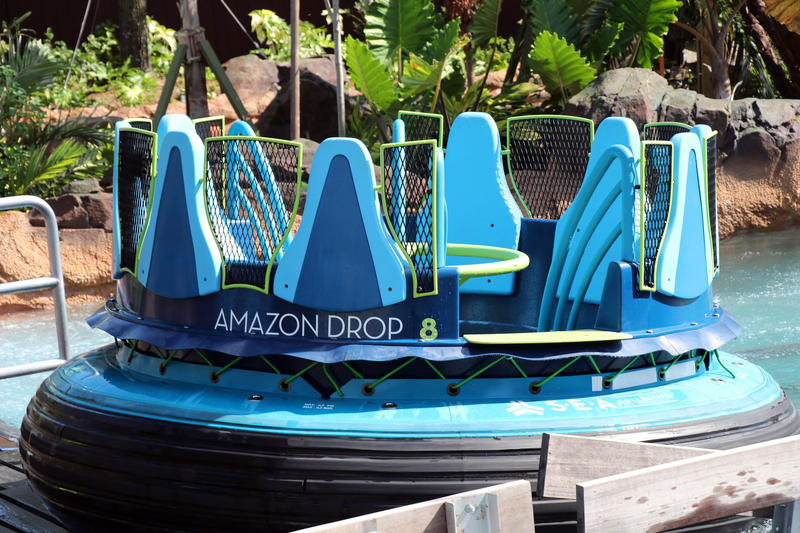 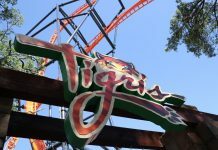 Surprisingly, the final drop is pretty dry in comparison to other dips and drops along the rapids. 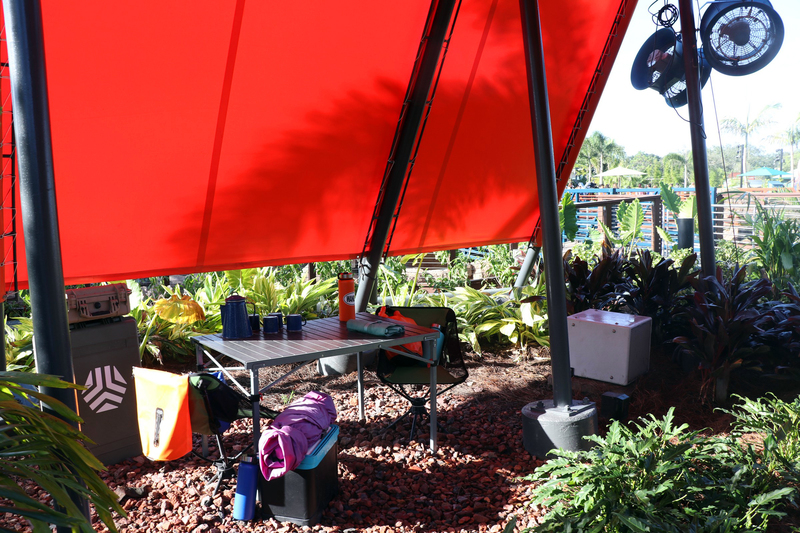 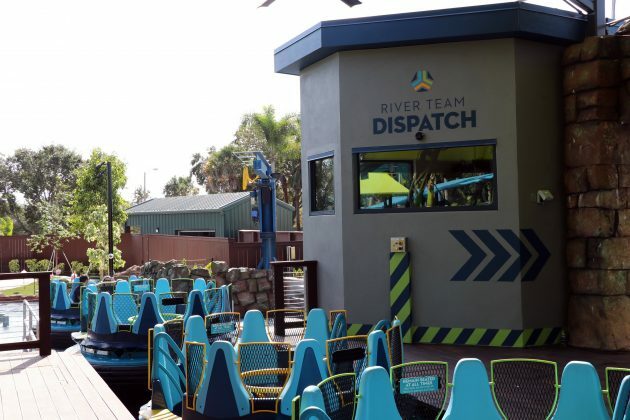 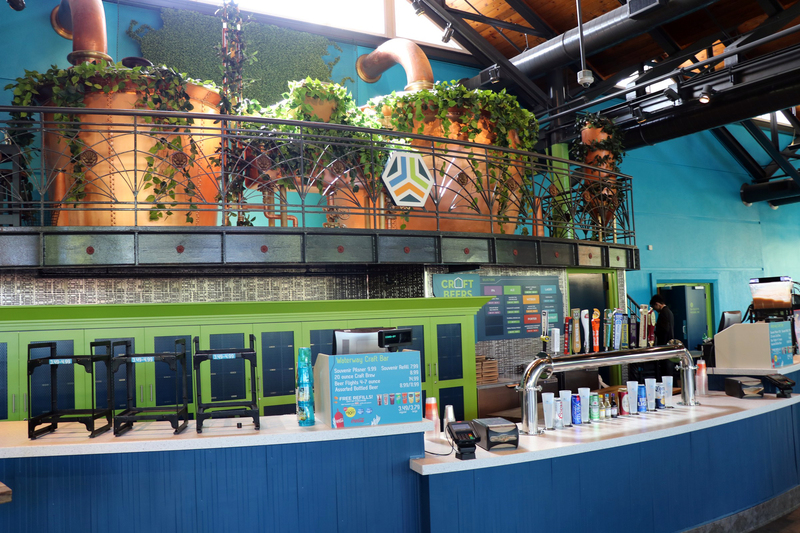 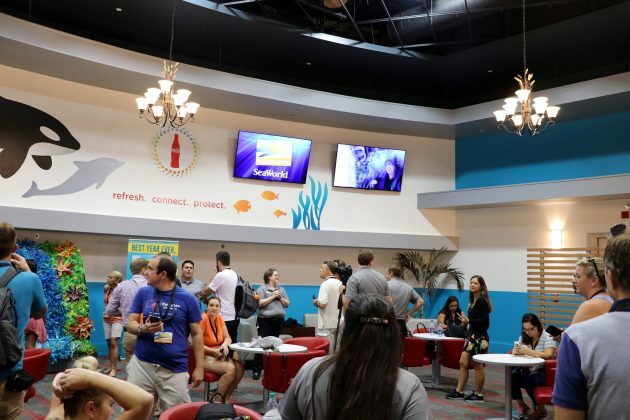 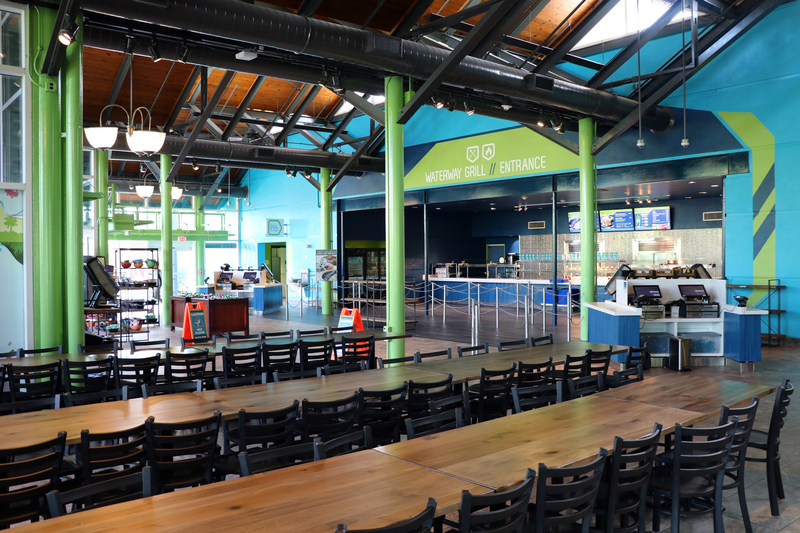 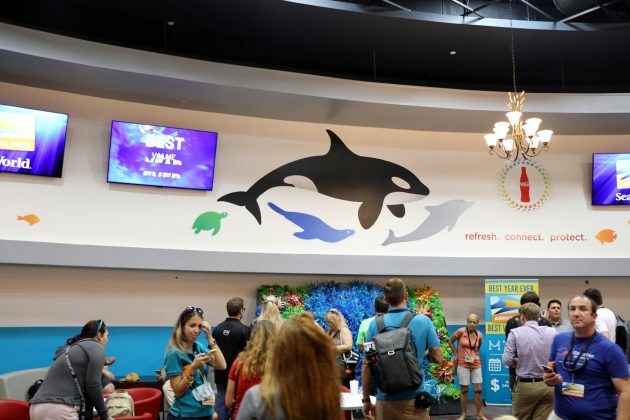 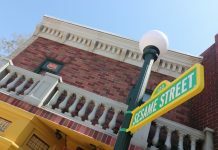 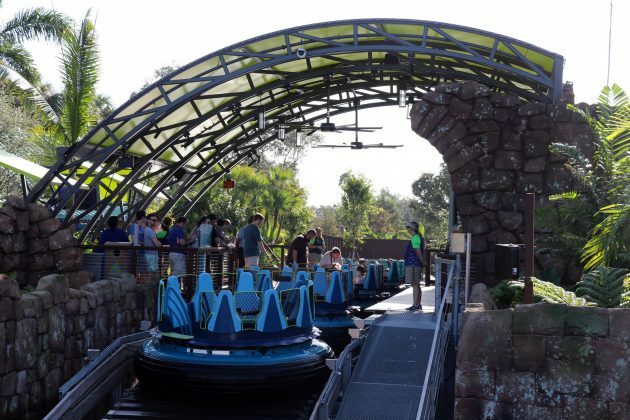 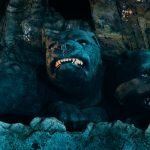 Taking over the former Hospitality House and surrounding area, SeaWorld has repurposed the once-quiet area into a much more kinetic environment. 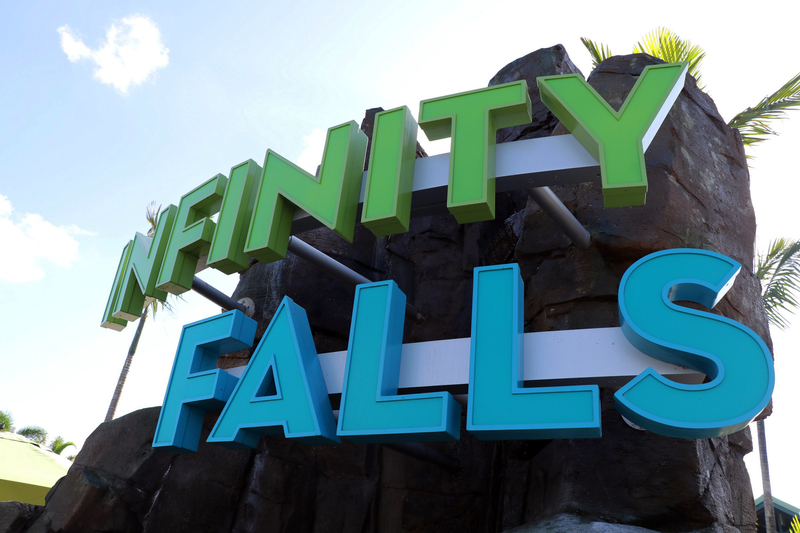 The addition of Infinity Falls brings a bit more balance to the park, as many of SeaWorld’s marquee rides were located on one side of the park. 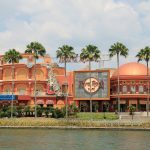 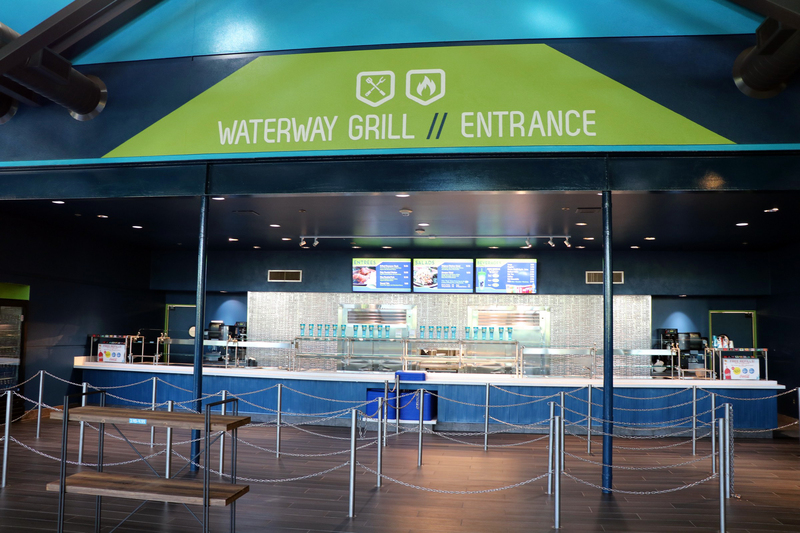 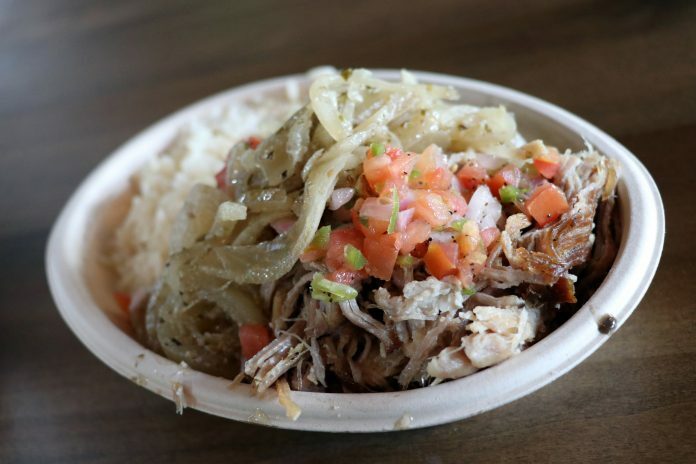 For food, guests can go the new Waterway Grill for their choice of a Carribean-inspired meal, specifically “grilled meats”. 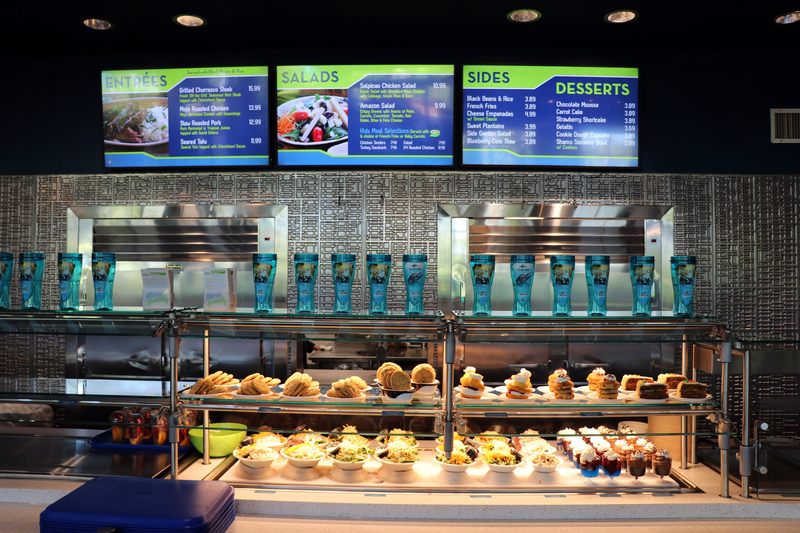 Items such as skirt steak, pork, and even tofu, are available; along with your choice of a side – such as rice and black beans, or plantains. 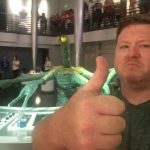 The popular Passholder Lounge located in Hospitalitytalty House was redone, almost doubling in size and adding a lot more seating. 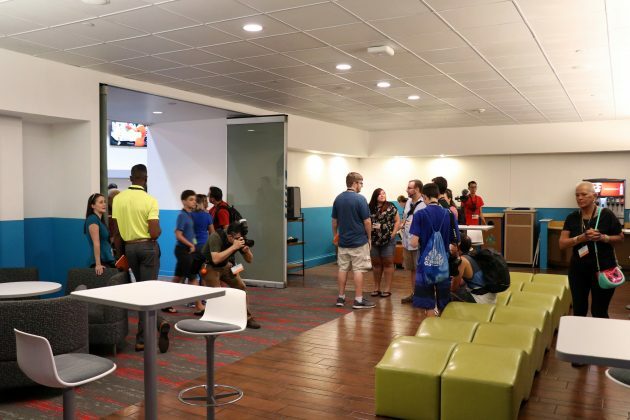 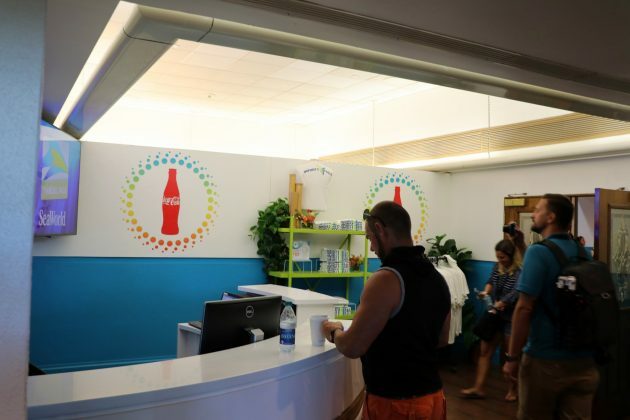 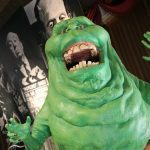 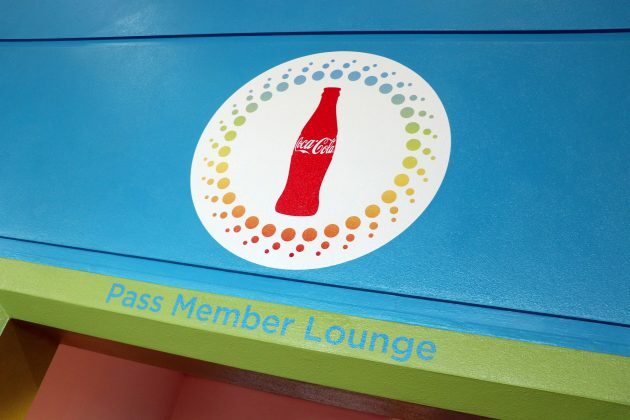 However, we noticed the Coca-Cola Freestyle machines are no longer available, as well as phone charging stations; and while the area is bigger, the lack of windows makes the new lounge feel secluded. 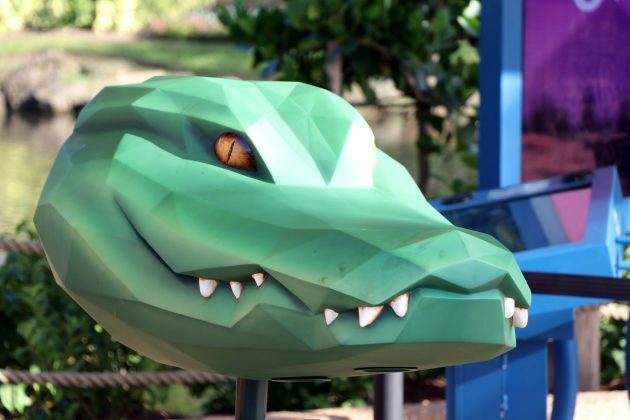 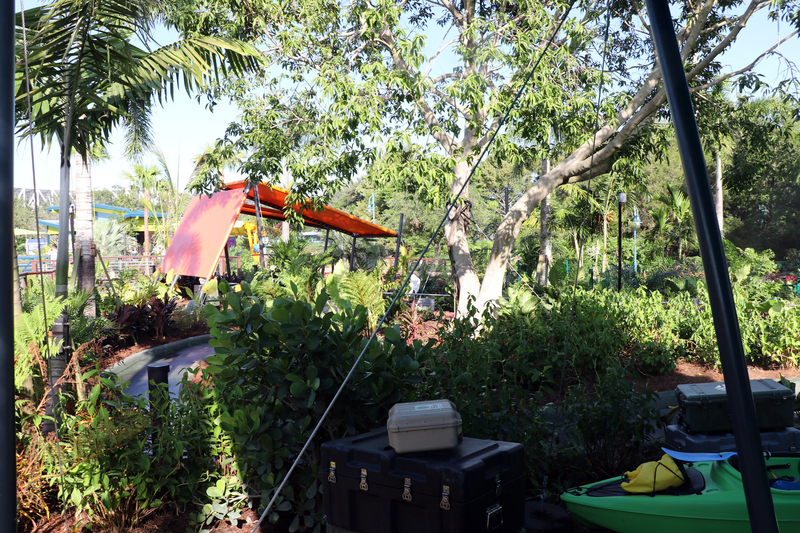 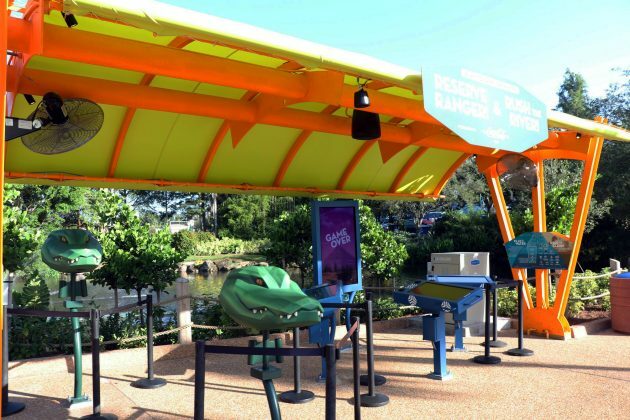 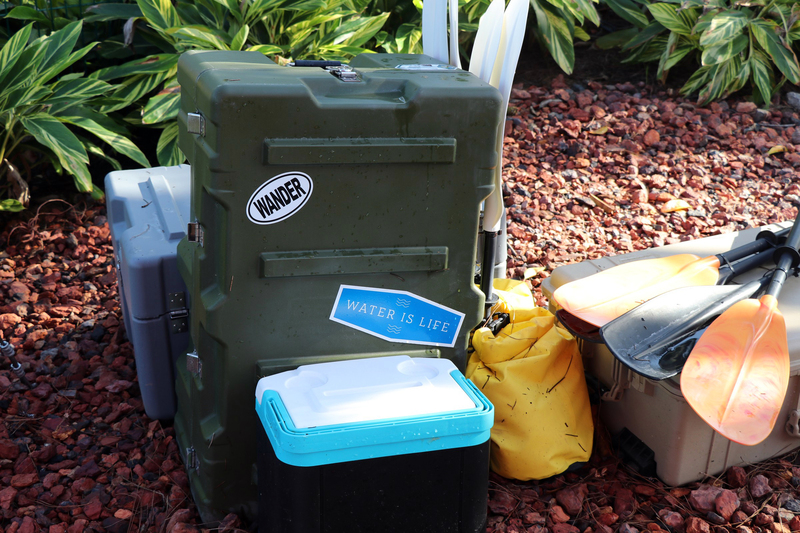 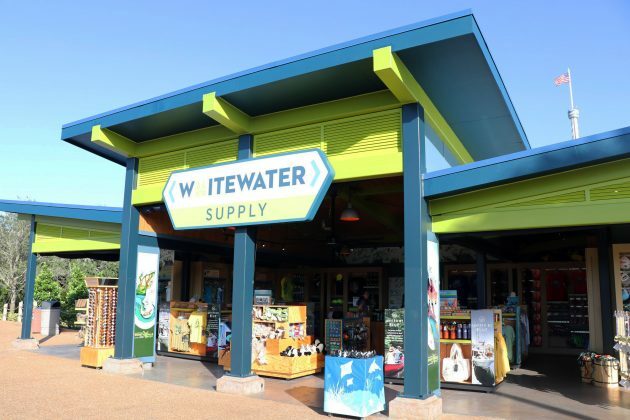 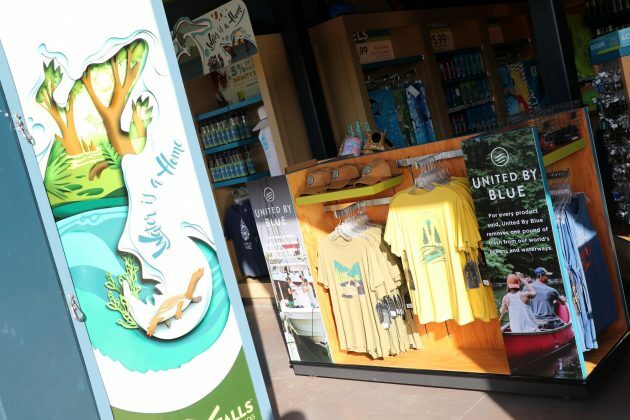 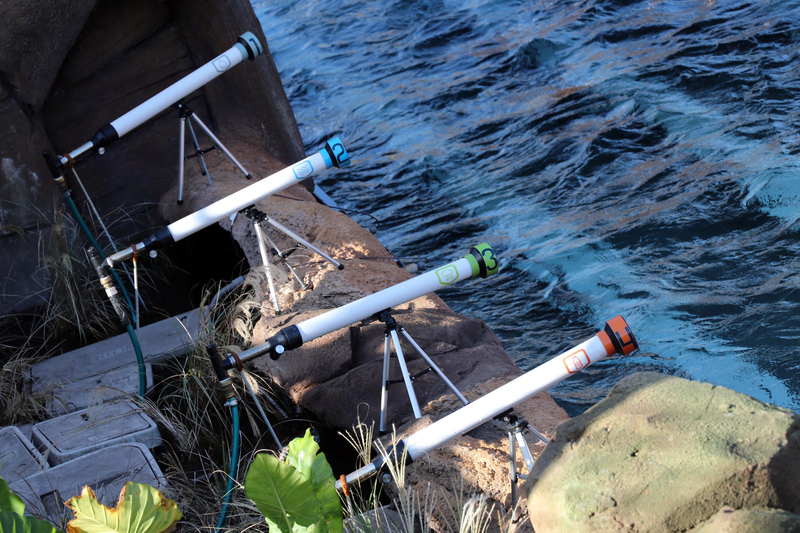 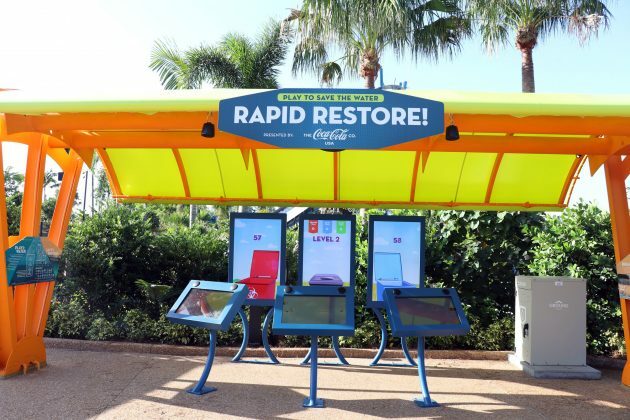 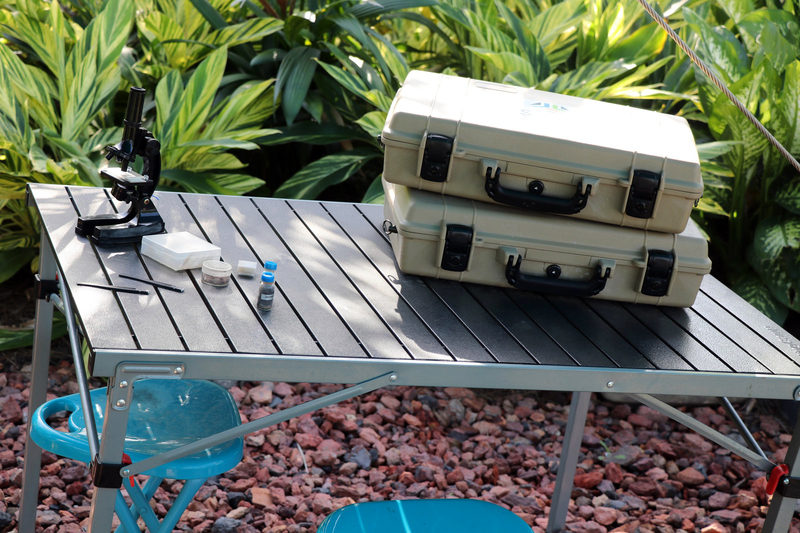 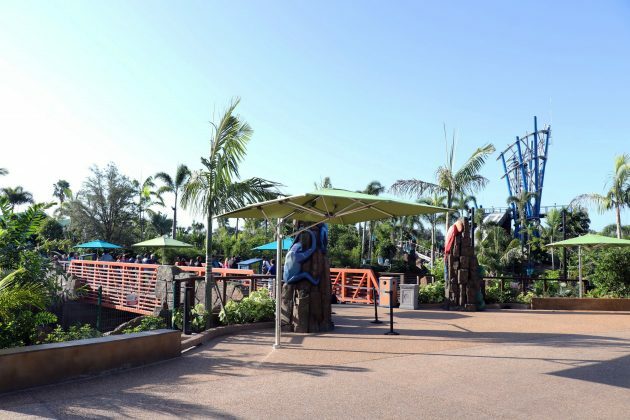 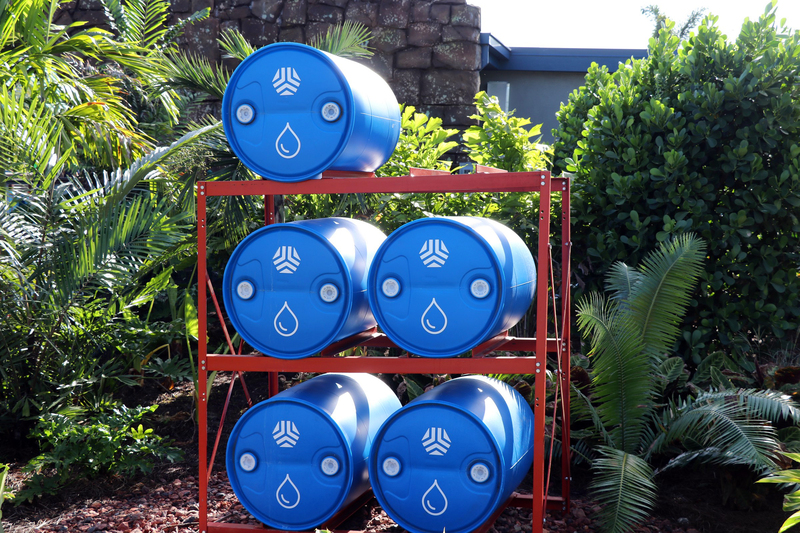 After the ride, there are several interactive experiences that combine play with education to help guests learn more about freshwater ecosystems, reinforcing “Park to Planet”, SeaWorld’s conservation mission. 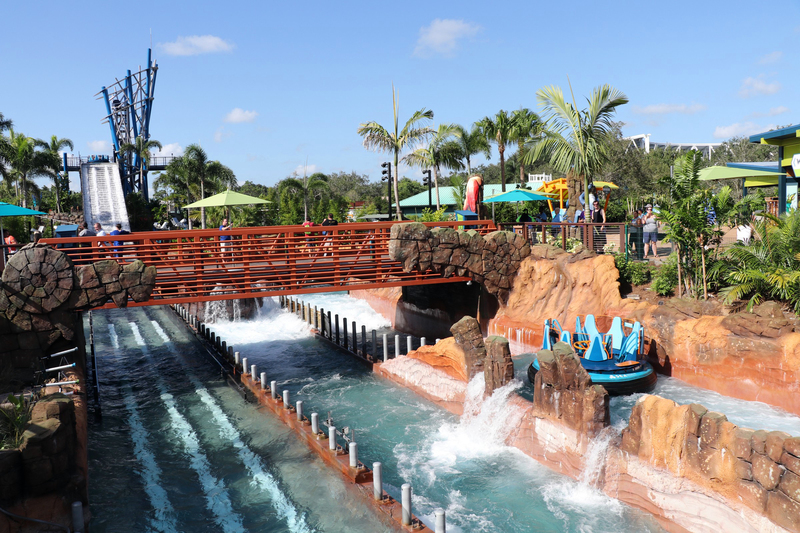 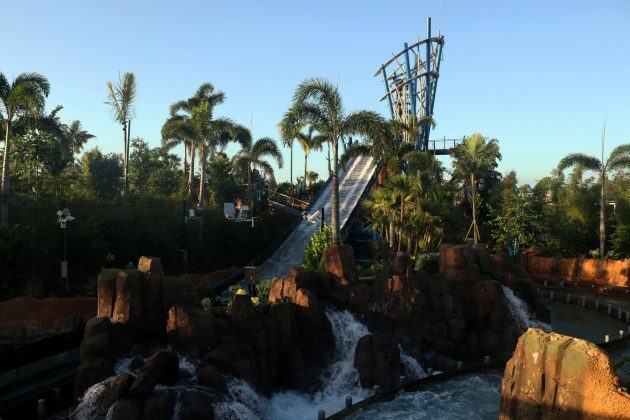 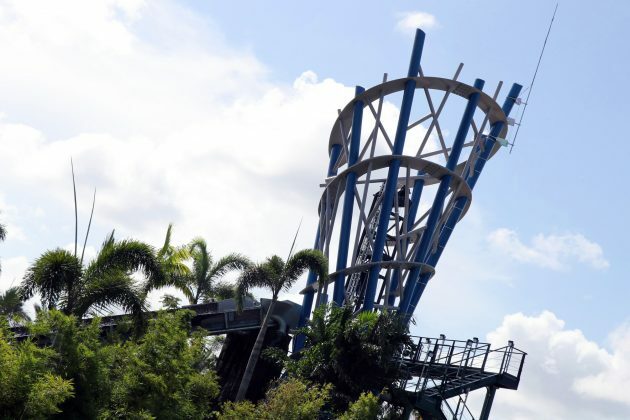 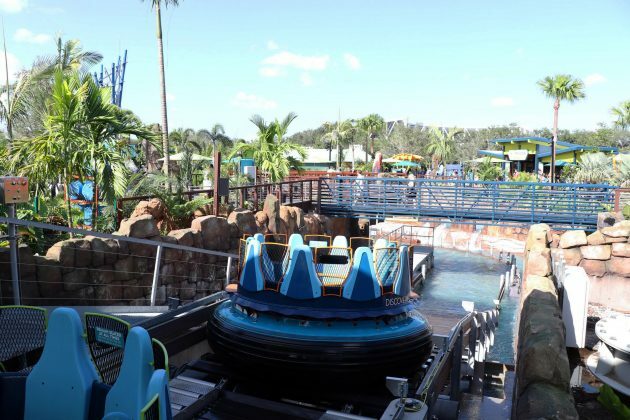 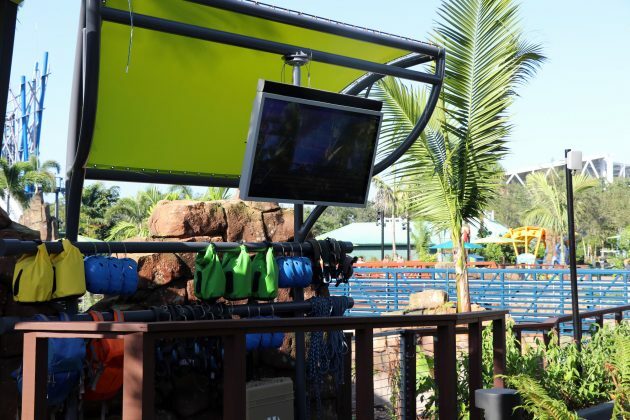 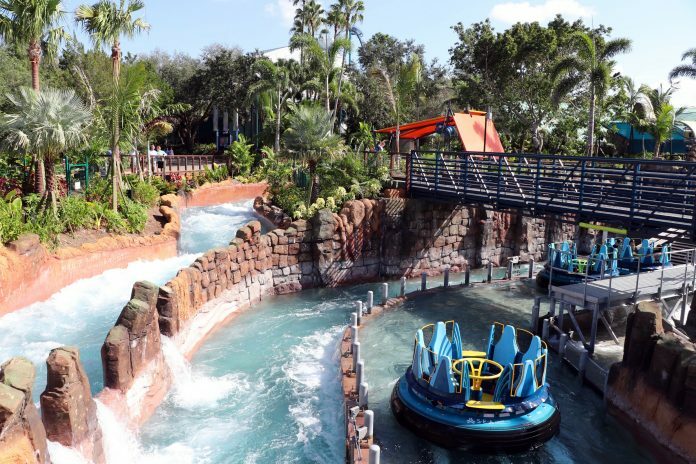 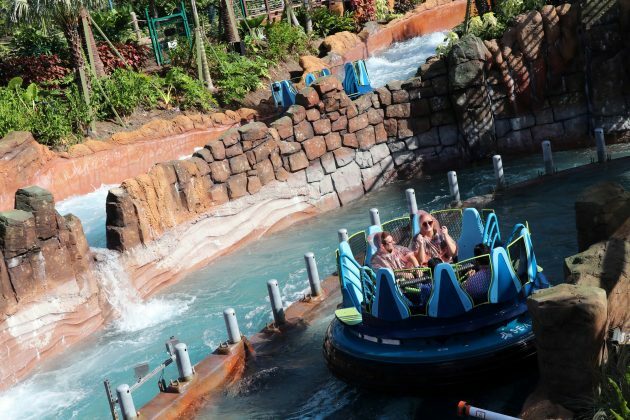 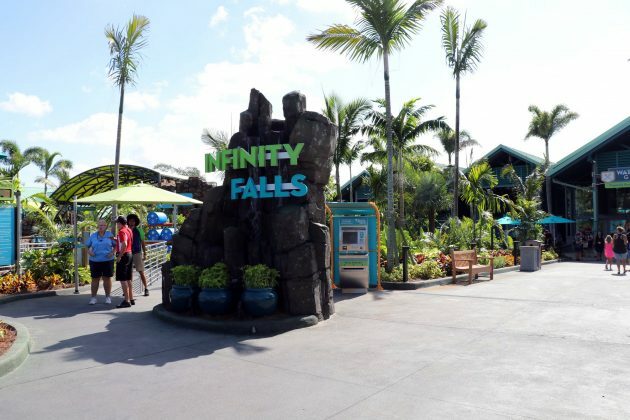 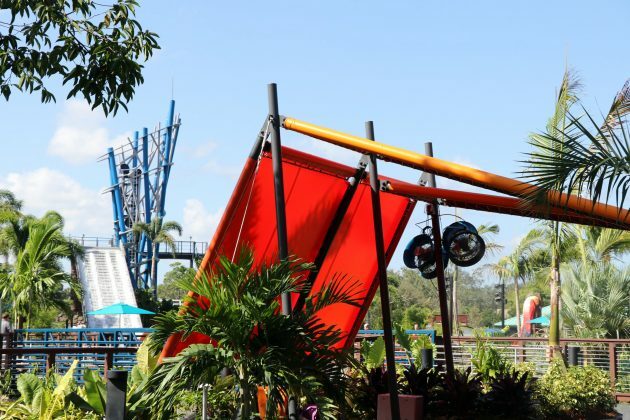 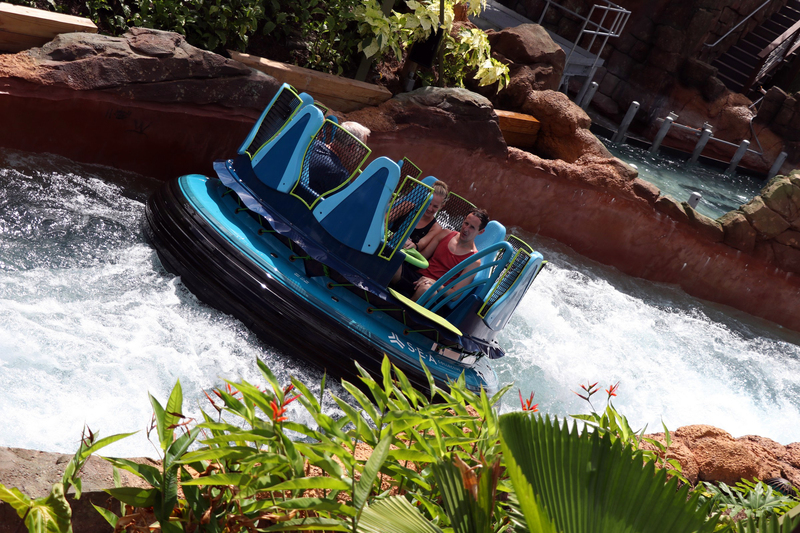 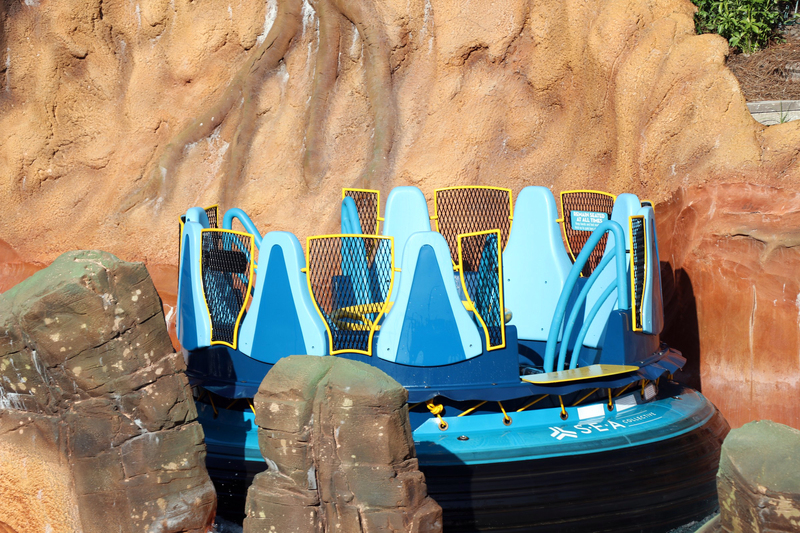 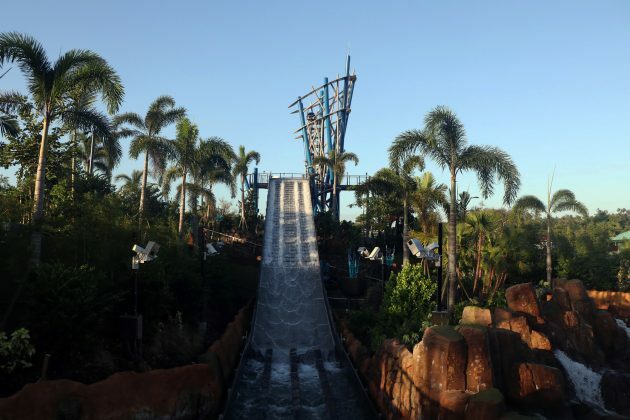 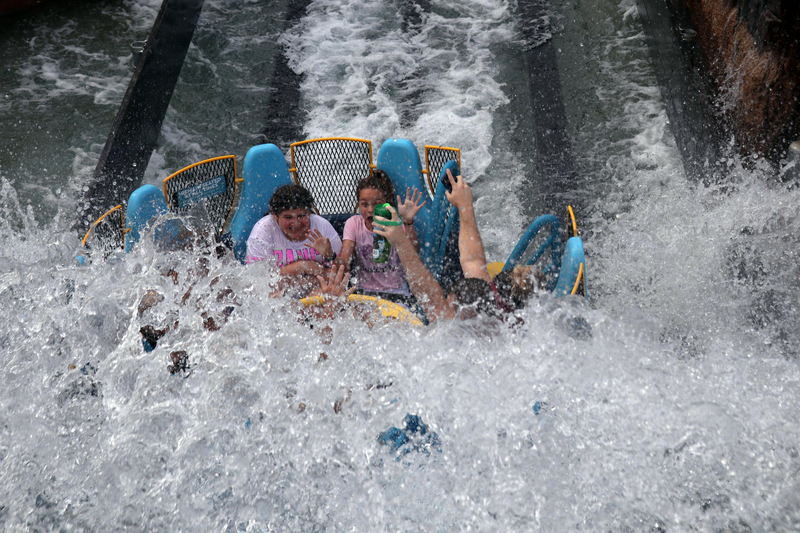 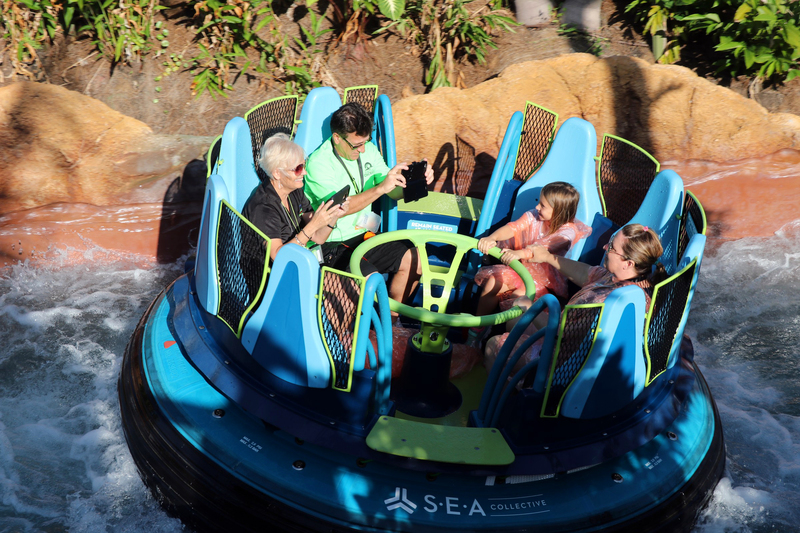 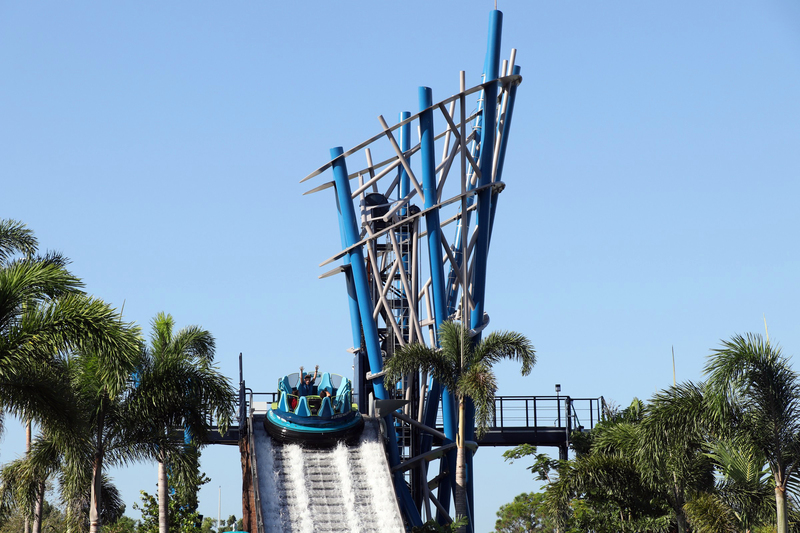 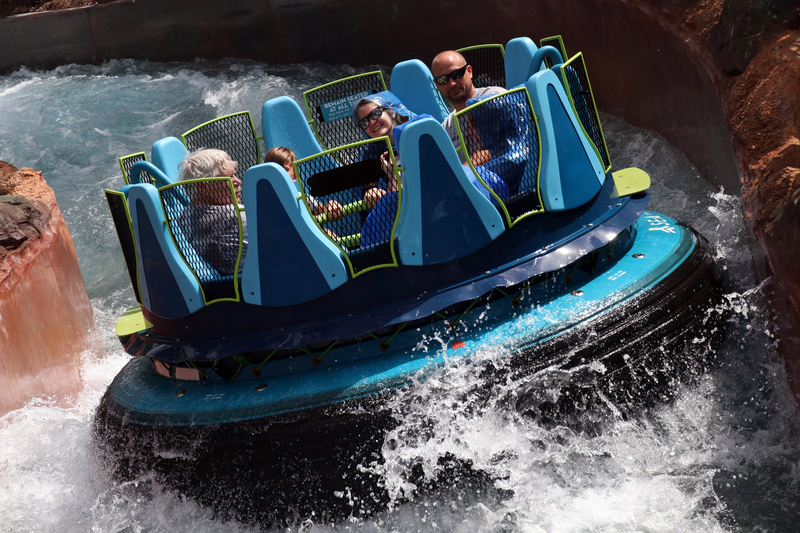 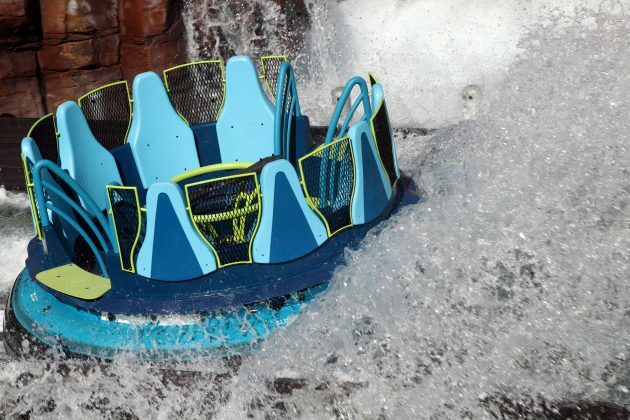 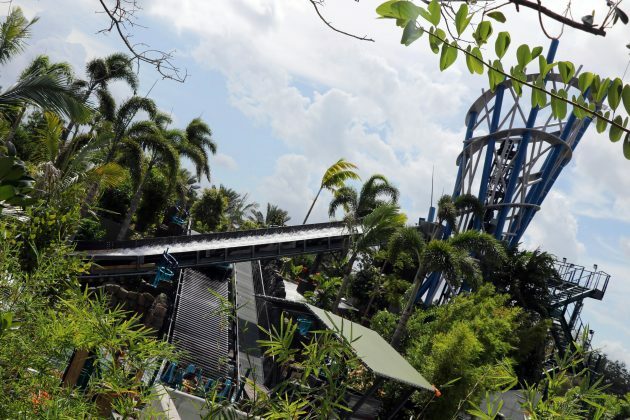 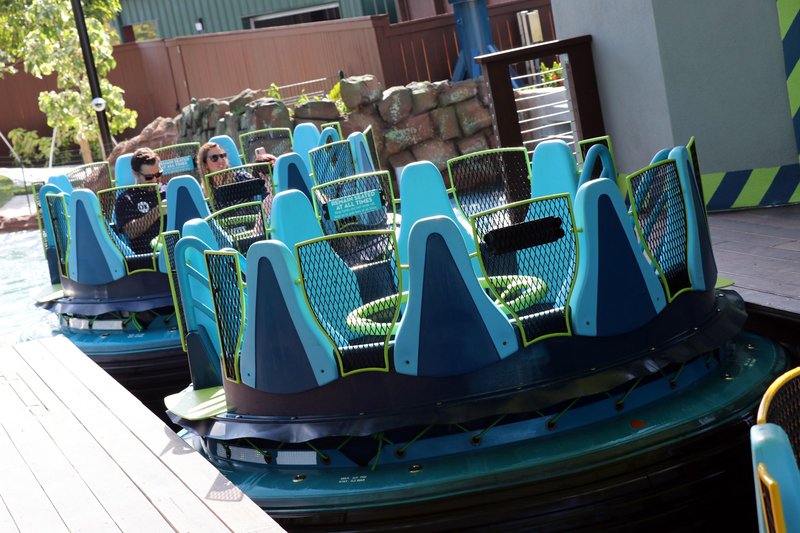 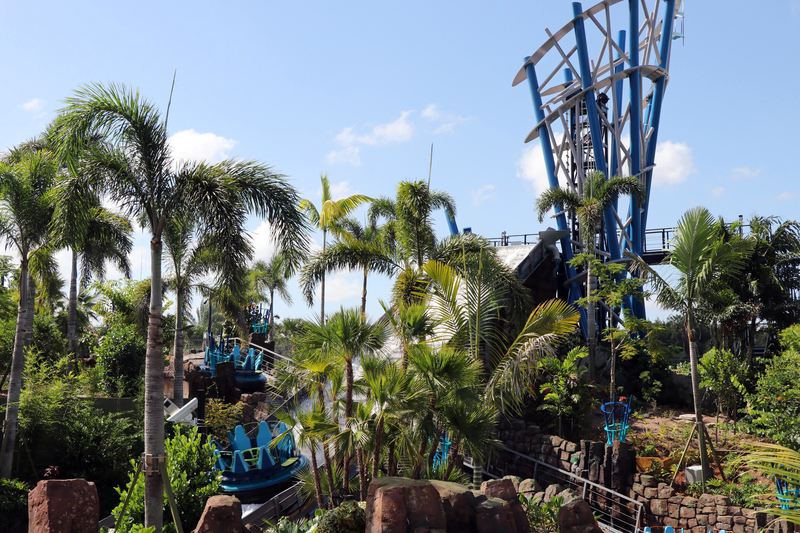 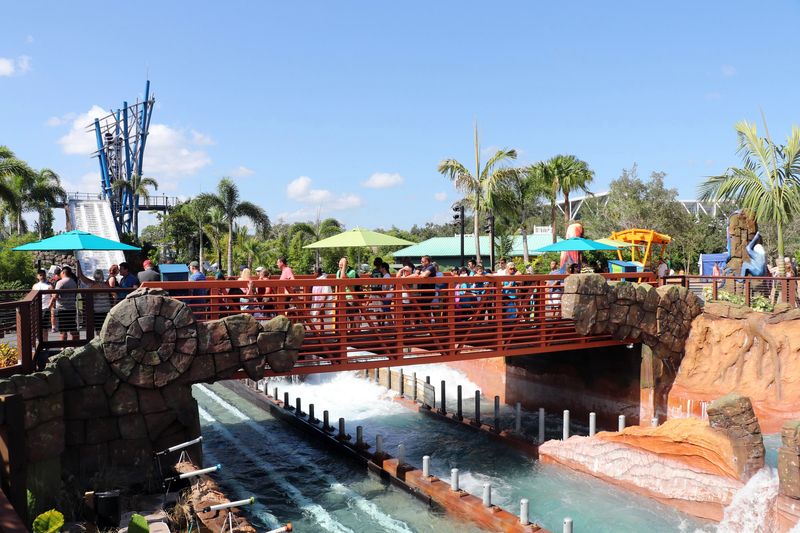 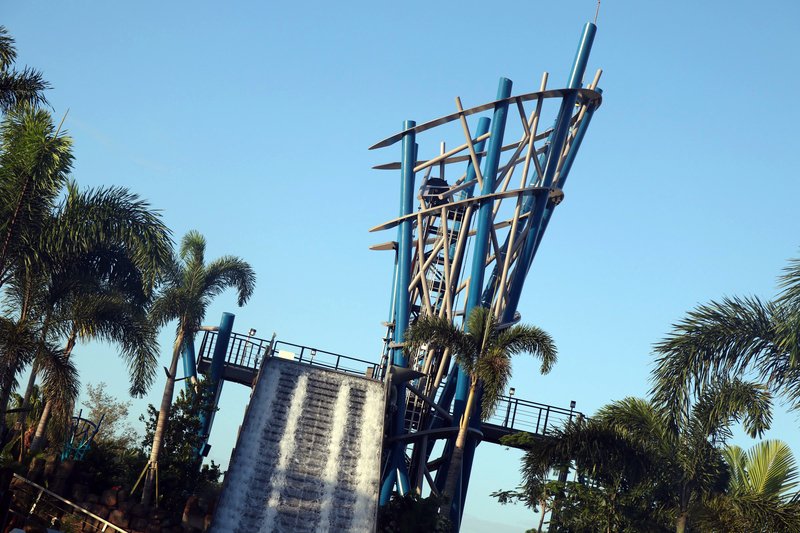 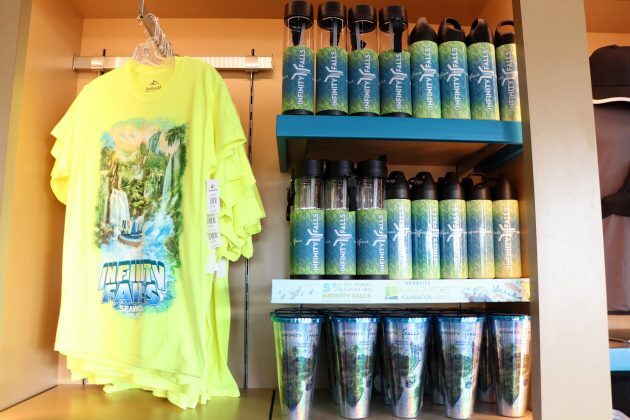 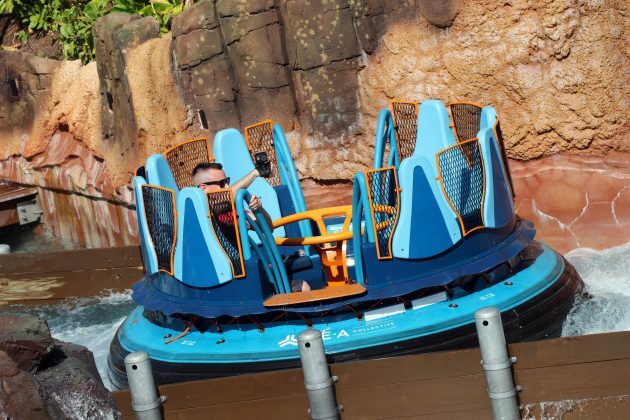 Infinity Falls is a strong addition to SeaWorld’s thrillseeking line-up, one that provides enough thrill for the adventurous, but is also tame enough for the whole family to enjoy together.